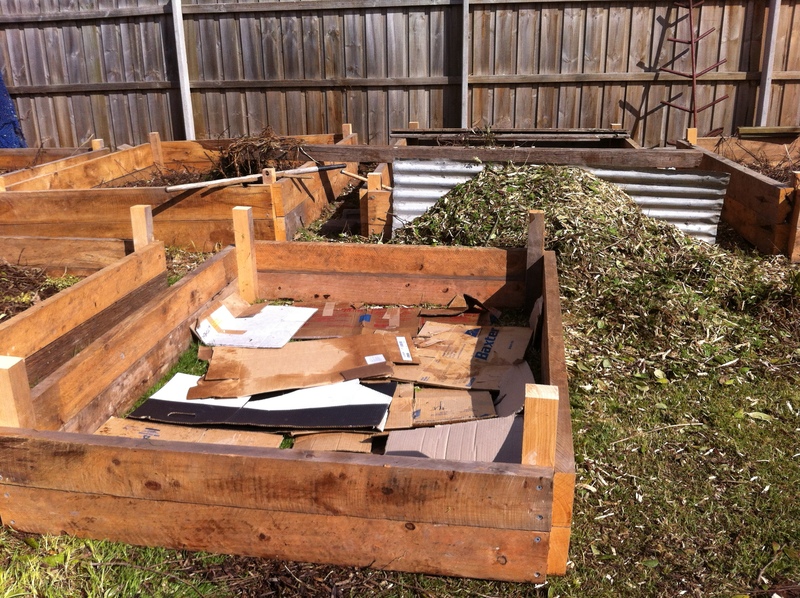 Since moving in, and collating all my stuff ( steptoeville) I am trying to use everything sustain ably- cardboard packing boxes, I have used them to lay down in side the garden beds to form a barrier to stop weeds and grass growing up into the beds. 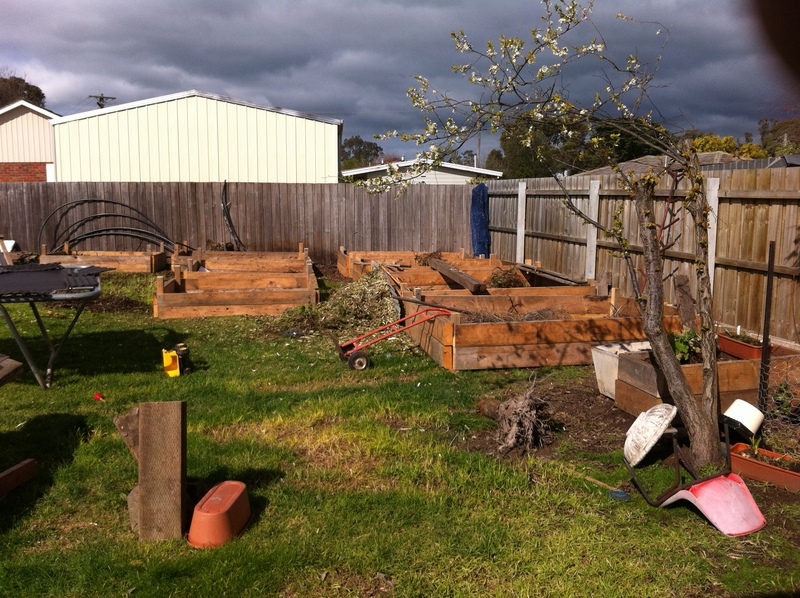 I have also used the trees & shrubs mulched down as the bottom layer in the garden beds- this adds a layer that will help drainage and starts the foundation for good soils- It also minimises the cost of buying in so much soil- with raised beds there is no need to have soil from the bottom to the top- the plants will not grow that deep. 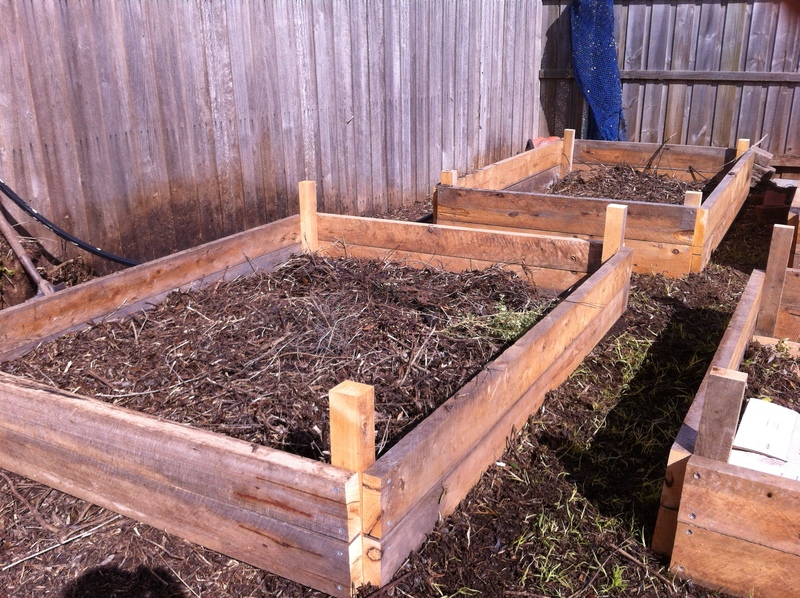 I have also build little beds, there are always plants that produce food for many years and years, things like rhubarb, strawberry, raspberry, josterberry, blackberry- many berries, with some mint thrown in. Hi, just wondering how the apricot is faring. I’m in West Gippsland and just can’t seem to get a good result. Just can’t buy decent apricots so would love to grow them if possible. Cheers. 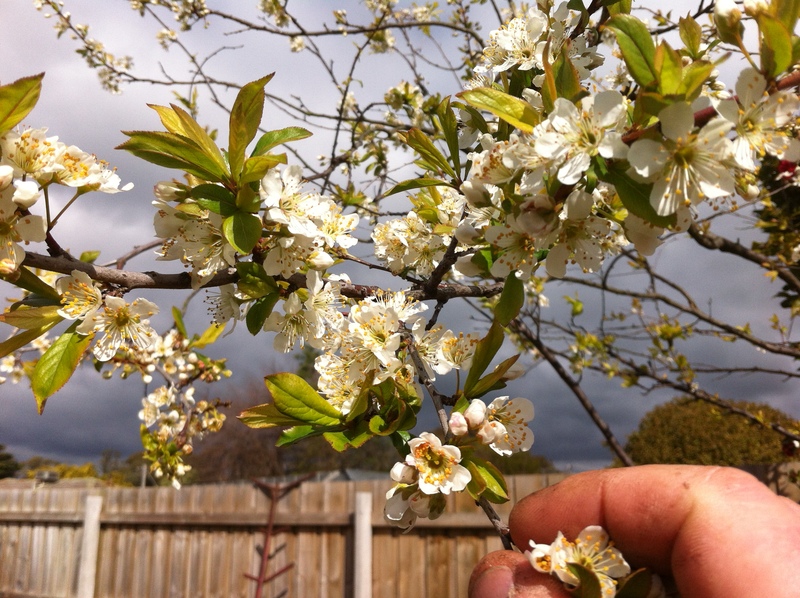 the apricot is doing well so far- I have grown an apricot tree in Ballarat and got some great results form the tree- they are prone to get spots on them but it wont hurt you. 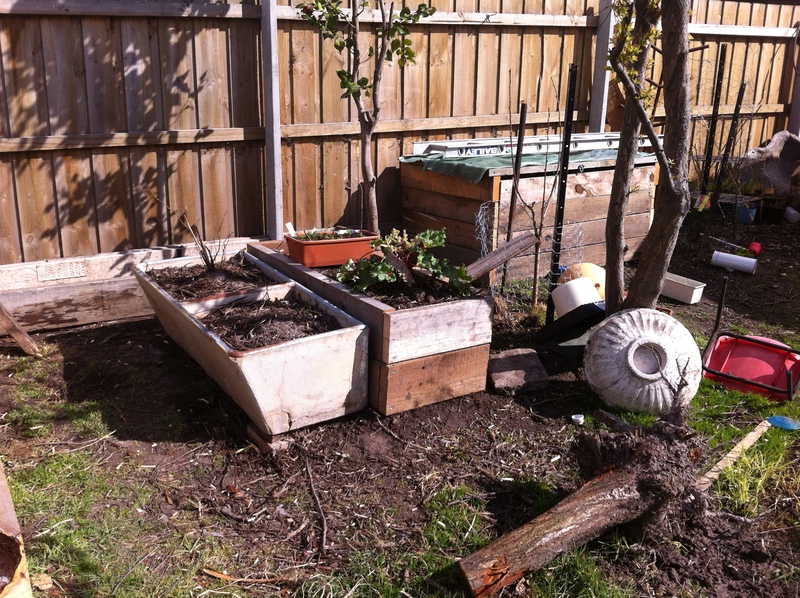 You wont need to prune them as hard as the other fruit trees as they grow fruit on the 2 year spurs- so the tree will look a little langky for a while.